Four of the Ontario prisoners committed new offences while they should have been behind bars, the provincial government told the Star. Prisoners who were supposed to be locked up on charges of attempted murder, sexual assault, armed robbery and assault with a weapon were mistakenly released from Ontario jails during the last six years. In total, 98prisoners were freed prematurely between 2009 and 2013, mostly because of clerical errors. Four of these prisoners committed new offences while they should have been behind bars, the government acknowledged for the first time in December. Mistaken releases have caused public alarm and political controversy in several American states and the provinces of Saskatchewan, Nova Scotia and Manitoba. In Ontario, there has been little discussion of the issue: the releases have been shrouded in secrecy even when a serious offender has been allowed back on the streets. The government has refused to reveal the names of the 229prisoners mistakenly released since 2003, a decision supported in December by the office of the information and privacy commissioner, which found that the names are “personal information” that must be kept secret. The Star argued that the public can’t fully understand the severity of the problem without knowing who has been let go. But Pugash said he did not have enough information about the case to call 23 Division and ask who this particular prisoner was. The government itself refused to provide any details. The wanted man was recaptured. So were all but one of the other 97 prisoners released since 2009. That lucky person was allowed to remain at large “at the discretion of the police,” the government said. Six offenders were improperly at large for more than a month, the government said, but none for more than a year. Only a tiny percentage of Ontario prisoners are mistakenly released: about 400,000 inmates were correctly released between 2009 and 2014. But any mistaken release can be dangerous. A Colorado prisoner mistakenly released in 2013 was suspected of committing two murders before he was himself killed. In 2011, Manitoba mistakenly freed a convicted killer, Walter Sanderson, who was in jail for stabbing his ex-girlfriend and another man with a barbecue fork soon after he had finished a manslaughter sentence. Many of Ontario’s mistakenly freed prisoners were not serious offenders. Some of them were serving sentences shorter than one week, or weekends-only intermittent sentences, according to incident reports. Some were released as little as a day too early. But some prisoners may have posed a real safety risk. One of the 98 people mistakenly released since 2009 was incarcerated for attempted murder, one for armed robbery, and two for assault with a weapon, the government told the Star. The government had never before confirmed these details. And it continues to keep secret almost all information about the released prisoners, including their names. The incident reports released to the Star, 14 months after the freedom of information request, were censored and the government did not say what new offences were committed by the four prisoners who should have been incarcerated at the time. Asked specifically if anybody charged with sexual assault was mistakenly released, the government did not respond. But Peterborough and Oshawa publications reported that a man charged with sexual assault and sexual interference for allegedly molesting two children was mistakenly released in 2012 from the Central East jail in Lindsay. He was located two weeks later, and the government apologized to the victims’ families. Other provincial governments also say little or nothing about mistaken releases. Nova Scotia is a notable exception. Under a policy adopted in 2011, the justice ministry there informs the public of all “major incidents” involving prisoners: improper releases, escapes, deaths, big drug seizures, even car accidents involving inmate-transport vehicles. When Eliahs Knudsen Kent, a Nova Scotia man awaiting trial on attempted murder and home invasion charges, was mistakenly released from jail in November, the ministry issued a news release with his name and photo, listed the charges against him, posted on Twitter and identified the jail that had let him go. The ministry then conducted an internal investigation. Two weeks later, officials released a report that briefly explained how Kent had gotten free (“one offender impersonated another”) and described the errors of employees who had failed to make the prisoners wear their identification wristbands or to check their photographs and signatures. Ontario conducts internal investigations into mistaken releases here. The reports, however, are kept secret. Residents are not told anything about the mistaken releases around the time they occur. The number of mistaken releases in Ontario has been relatively consistent over the past decade. Thirty-seven people were released in 2003, 19 in 2004, 14 in 2005, 25 in 2006, 13 in 2007, 23 in 2008, 21 in 2009, 22 in 2010, 16 in 2011, 15 in 2012, and 24 in 2013. People convicted of the most serious crimes are held in federal prisons. Provincial jails house both people serving sentences of less than two years and people awaiting trial. The jails are overcrowded, and their admission-and-discharge areas can process dozens of entries and exits a day. The incident reports shed some light on how the releases happened. The reports suggest there is occasional uncertainty among jail employees about judges’ sentencing wishes, and that there are occasional problems with a system that still relies heavily on paper. At least 10 releases were related to confusion over intermittent sentences. In four cases, employees admitted they had misread or overlooked documents. In a 2010 case at the Toronto (Don) Jail, a form was stapled to the wrong inmate’s file. In at least eight cases, employees were not aware of an additional remand warrant that should have kept a prisoner in jail on a second alleged offence even after the prisoner’s first sentence or trial was completed. In 2013, the remand warrant for a Toronto West prisoner was not entered quickly enough into a computer database. 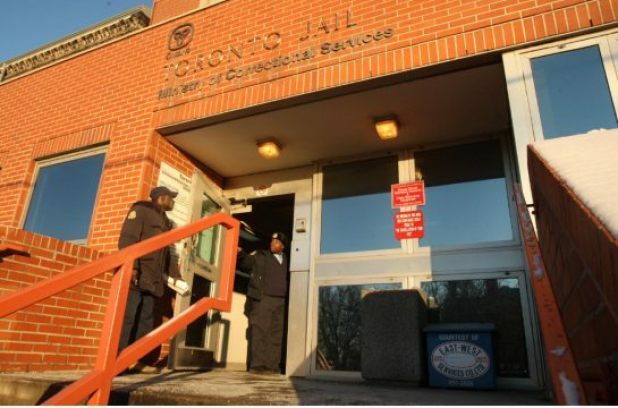 In 2011, guards at the Mimico jail counted 277 inmates, not the 278 they expected. Employees then discovered that they had mistakenly let a man with a 90-day sentence walk out with the weekends-only prisoners. Two 2009 releases, one in Sudbury and one at the Don, were more like escapes. Both prisoners managed to pass themselves off as other prisoners who were actually supposed to be released. “He answered all questions correctly, he was released,” a Don employee wrote in the incident report. “Approximately (censored) officer Sutherland called me (censored) informing me that inmate (censored) was still on the unit. I went to the unit and inmate (censored) approached the bars and said that ‘I should have been released today.’ ” Another prisoner was arrested for “assisting in an escape,” the employee said. A mistaken release from Milton’s Maplehurst jail in 2010 seemed to require little effort on the part of the freed prisoner. One 2011 case involved an apparent miscommunication between employees of the Don and Toronto West. The prisoner was doing time at Toronto West, but Don guards were supervising him one day at a nearby hospital. When the prisoner was then transferred by ambulance to another medical facility, the Don guards came along — then decided their job was done. After some of the mistaken releases, the police simply called the newly freed prisoner and told him or her to return to jail. Other releases forced officers to go looking for the person and bring him or her back. In one 2010 case, an employee of the Windsor jail asked a colleague when a female prisoner had been mistakenly released. The employee had an officer dispatched to the train station, then called the prisoner’s father and “informed him that it would be in her best interest to contact the jail.” She did, two minutes later. Daniel Dale can be reached at ddale@thestar.ca or 647-627-9734.